Entering the property, on the left you are greeted by large living room, which continues through to the kitchen and adjacent to dining and family area. Modern open plan kitchen with stainless steel appliances oven, stove top, rangehood, quality bench top, dishwasher, corner pantry and ample cupboard space. Total 4 bedrooms of which front facing master bedroom comes with walk in robes and en-suite while the remaining 3 bedrooms have built in robes and there is a central bathroom with bathtub and separate toilet for added convenience. Large floor board rumpus room for entertaining family and friends and big low maintenance backyard with plenty of space for kids, pets, veggie patch and trees. Double lock up garage followed by the sunroom or gym room which leads to the backyard. 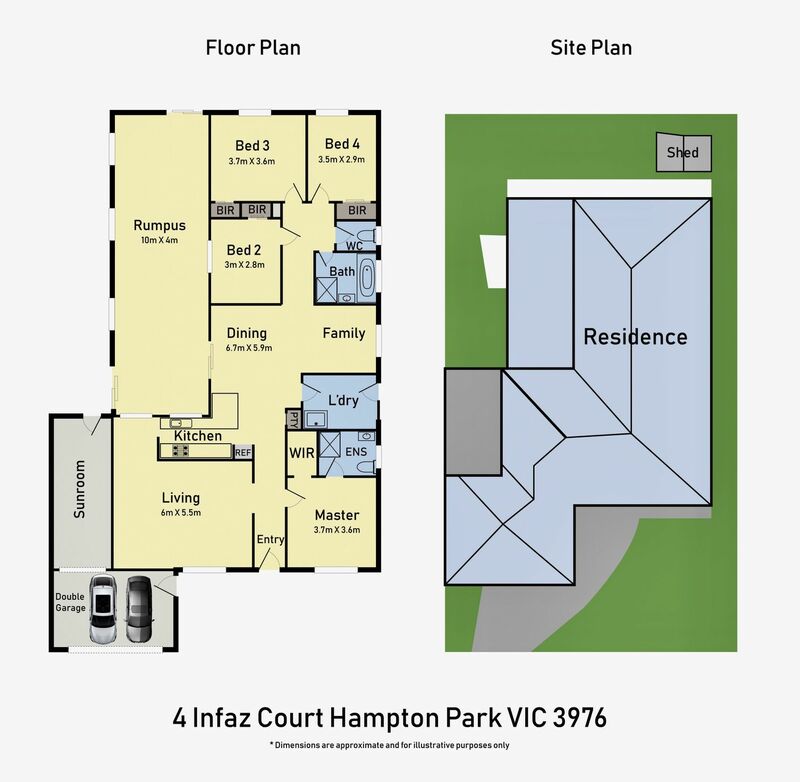 Perfect buy for first home buyers or astute buyers as it’s currently tenanted on month to month lease to great tenant approximately $400 rent per week. -Roller blinds, 1 split system air conditioner, downlights and ceiling fan. -Quick access to Freeway, Highway and Hallam Station.